As summer gets into full swing more and more people will be traveling on vacation. This, like all things in life, will be aided by your phone, tablets and laptops. It goes without saying you will probably want to check emails, you may have some work to do, there will be activities and restaurants to search for and, heaven forbid, it may rain one day leaving you, your friends and family with nothing to do but hunker down to watch a movie. All enabled by the Internet. When used safely the Internet can be a great joy and resource for travelers and vacationers. When not it can become your worst nightmare, opening you up to damage and loss. Digitization, computers and the Internet have helped to increase travel and vacations in the same way as the early advances in ocean going ships, railways and airlines. What many fail to take into account is that there are many risks when using the Internet and those go up exponentially when using the Internet from a remote location, foreign country and trying to remain inconspicuous while traveling. This is a list of a few of the things you may be at risk of. Unsecured connections. If you come from a well-established country you are probably used to a relative amount of security when using the Internet. There is a certain amount of trust between you, the ISPs and the government that allows society to work. Even so, those connections are not as secure as they could be, exposed as they are to whomever would like to monitor them and when considering a move to a foreign locale the risks of being monitored, loss of personal information, hacking and malware increases. If the country you are in is well known to censor, monitor or otherwise control the Internet you are basically asking them to look at whatever you are doing, whenever you log on. Unreliable connections/infrastructure are another problem when considering a move abroad. The country you are moving to may be the most honest, trustworthy nation on the planet but may not have the infrastructure necessary to guarantee reliable and safe connections. At the same time the public Wi-Fi down at the coffee shop may not be too safe either. It is all too easy to access devices when connected to these networks which makes them prime hunting grounds for scammers, fraudsters and thieves. Leakage is a big problem no matter where you live or what your status is. Leakage is anytime your data or information is lost while being transmitted across the Internet. One example is when social media like Facebook, Twitter or YouTube access your phone/laptop/tablet in order to “serve you better”. What they don’t tell when they ask to view your contacts, profile and other data “that may be required” is that the information is often shared across applications. Facebook for one is notorious for adding new apps to their platform and then sharing all the information they gather about you with them. Each time that happens there is one more server, one more database with you on it, one more chance to lose it. The number of unreported data breaches grew 85% from 2014 to 2015, and by double digits again in 2016. Hacking is also a big problem when using the Internet, especially if you are conspicuously wealthy. Hackers may take advantage of known weaknesses in local networks to exploit individuals, misdirect them to cloned or fake websites, steal personal identifying information, bank accounts, business secrets or deploy malware into your system. Non-secure connections and weak infrastructure only make this problem worse. Symantec, in their 2016 Internet Security Report, said that the number of zero day vulnerabilities, those that have yet to be discovered or reported, grew 125% in 2015 alone. Geo-location monitoring is a serious concern for more than one reason. For the average person geo-location or geo-targeting means that you may not be able to freely watch streaming content across the Internet. The live streaming of many popular websites such as the BBC, and ABC are only available in their home countries. For some geo-location takes on a much more sinister meaning. It may allow hostile forces to back track your connection and access your devices or even pinpoint your physical location. Learn more how to protect location data on your devices. IoT, the Internet of Things, is growing fast. It has been estimated that there will be more than 50 billion connected devices by 2020 and that the average person will have at least 6 of them. IoT is great when it streamlines operations, helps climate control your house or keeps track of your workouts but it is a very bad thing when those devices connect to their manufacturers websites, or any other, without your permission and across a non-secure, unreliable connection that has been targeted for Internet fraud. When traveling it will be very hard to know when or where your Bluetooth and other connected devices may access the net, or be accessed from it. Boredom. It is a possibility, however much we would like it not to happen, that you could be sidelined while traveling on vacation. It may rain, there may be illness, you may have a layover, missed or late travel arrangement that leaves you no choice but to fall back on the Internet for entertainment and subject yourself to one or more of the dangers listed above. What Is VPN? What Is The Best VPN For Travel? VPN stands for Virtual Private Network. It is the solution created by the government to ensure safe and secure connections across public networks, i.e. the Internet. They do so by creating a digital tunnel through which your connections are made. Connections are virtually invisible to the Internet and if found, just as hard to follow making them a difficult target for anyone who may wish to monitor, access or exploit you. The VPN makes use of a dedicated network as well. Your devices bypass the local ISP and connect to a dedicated VPN server adding an additional layer of security. The best VPNs also include encryption so if anyone by luck or intention is able to access your connection they will never be able to read it. VPN technology used to only be accessible by big corporations and government agencies with the budgets and IT staff to make them happen. The need for a dedicated server network kept them out of reach until very recently when commercially available VPNs became available. Which VPN is best for overseas? Which VPN is best for travel? Well, the free ones are probably not the best choice. They are nothing more than phishing scams masquerading as security. They will collect the very data you wish to hide, make it available to whomever they wish to sell it too and likely not provide truly safe VPN services in the first place. The best VPN for vacation is one like Le VPN whose services cost as little as $4.95 per month. 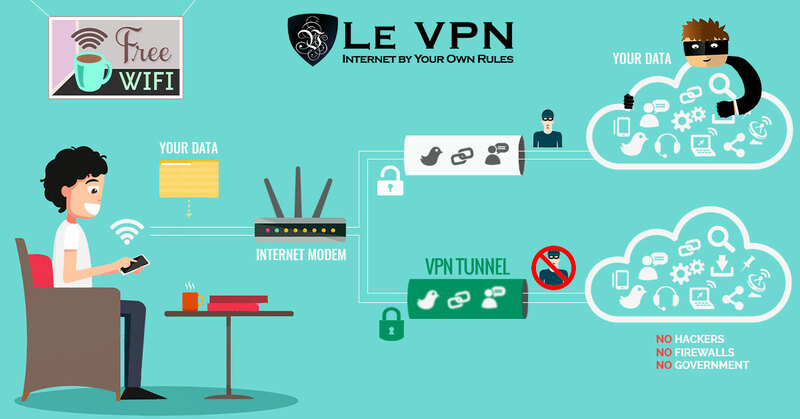 Le VPN provides 4 different protocols on servers in more than 114 countries with different levels of security for different tasks you may have while on the go. To use it, all it takes is a user account and simple software download to your PC, Mac, Android or iOS device. One account will allow an unlimited number of devices to download the software with two connections at any one time, making it perfect for small groups and families. To connect to the net through the VPN tunnel all you have to do is choose the country you want to connect to and to click “connect”. Once the connection is established, your device and your data is safe. If you want to know how to unblock Facebook and social media using the VPN, you just found out. All you have to do is connect with a VPN server in a Facebook friendly country. The P2P Tunneling Protocol is the lowest level VPN providing secure and hidden connections without the benefit of encryption. The L2TP is the next level in security and does include encryption to enhance security. It is best for accessing banks, ecommerce or other websites where sensitive data may be shared. The OpenVPN is an open-sourced version carrying the highest level of security for the most sensitive information. It is best used by those who find themselves having to work while on vacation, or are vacationing in a country known to censor, monitor, block or track the Internet. The fourth protocol may be the most useful for those on vacation, the HybridVPN. It uses a SmartDNS system along with P2P Tunneling Protocol to unlock geo-restricted content and deliver it at the fastest speeds possible. This means you can safely watch TV and movies streaming on the Internet with little to no interruptions for “buffering”. 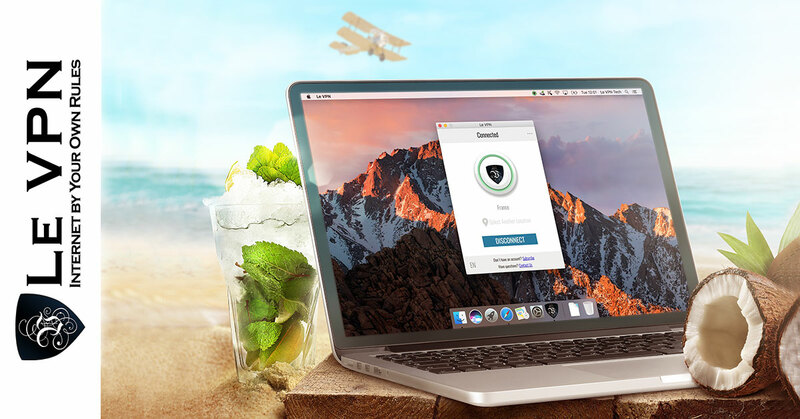 The best VPN for travelers will keep data, connections and devices safe but there are other reasons vacationers will want to use one. VPNs work in two ways. The first is by altering the nature of your data. Data sent across the Internet is sent in digital packets, like a digital envelop. These packets all come with markers that give information to servers, routers and individuals across the net. When you connect to the Internet without a VPN your packets are visible for all to see, including the IP address of your device. VPN works by re-packetizing the data into a new packet, like slipping a smaller envelop into a larger one, and assigning it a new IP address at the VPN server. This way someone may see you, but they won’t know who you are or be able to follow you. Unlock Geo-Restricted TV and Streaming Content. An unintended and heavily exploited benefit of VPN’s ability to mask your IP address is to unlock geo-restricted content. Most online content, specifically streaming media such as movies and TV, are protected by national and international copyright laws. This means that you can typically only watch content if you are a citizen of the country in question, or accessing the Internet from within its borders. Remember the network of VPN servers I mentioned earlier? Well, if you access the net through a server in the country in question, say the UK for watching BBC, you appear to be located within that country and are able to watch at leisure. As crazy as it may be some people like to travel and vacation in what I will call an International Hot Spot. A place where there may be an unfriendly government or one that likes to censor content coming across the Internet. Well, the flipside of unlocking geo-restricted content by masking IP addresses and bypassing ISPs is the ability to evade censors and detection by unfriendly hosts. Even in a friendly country there may be someone or some agency who would like to track you specifically or tourists in general and that does not take into account all the data collection that goes on the ISP level to begin with. Using a VPN bypasses the ISP, and anyone else who thinks they want to watch your Internet use, effectively preventing monitoring of any form. 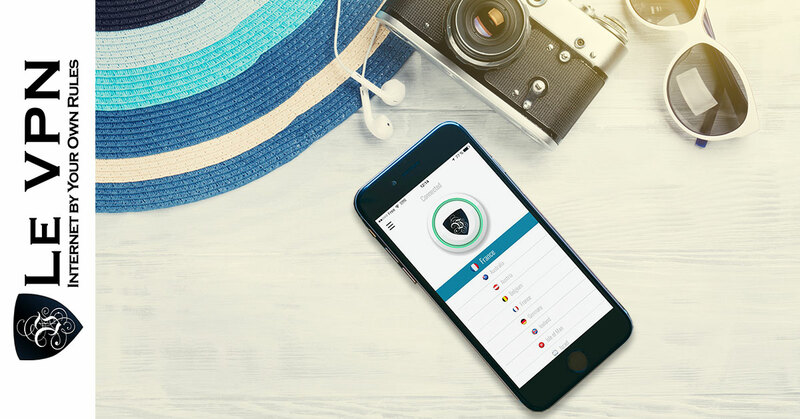 How to keep your data safe while traveling? The best way is to use the Internet as little as possible and when you do, don’t use it for sensitive tasks unless you really need to. That being said there are a few things you can do to help ensure that you and your data are safe. You always need virus protection and the best thing about it is you can carry it with you wherever you go, stored away safely on your laptop or other enabled device. It is the first line of defense against attack and a cornerstone of Internet security and safety, especially when using unknown and untrusted networks. Be sure to keep your software up to date. This is software intended to keep websites and viruses from installing software on your computer you don’t want. It works well when used alongside the antivirus but like most digital solution it too is flawed and will allow some to pass through. Firewalls are software that stand guard over your computer. They are like a border fence that will not let suspicious looking and known hazards to pass through your gateways and into your device. When used along with virus protection and anti-malware it completes a trifecta of solutions designed to defend against attacks and infection. The only downside is that none of these do much to hide you from prying eyes. If someone can see and wants to hack your computer they will. VPN is the final technical solution to ensuring your Internet security while traveling or on vacation. Like the others it is a software you can download to your enabled devices and take with you wherever you go. In basic terms it hides you from the Internet and makes it so hackers, viruses and malware can’t see you. VPN can be used on your laptop or mobile device so there is no reason not to have one. And stick to them. When it comes to the Internet there are two dangers to be aware of. Those that come from outside you or your device, and those you bring on yourself. 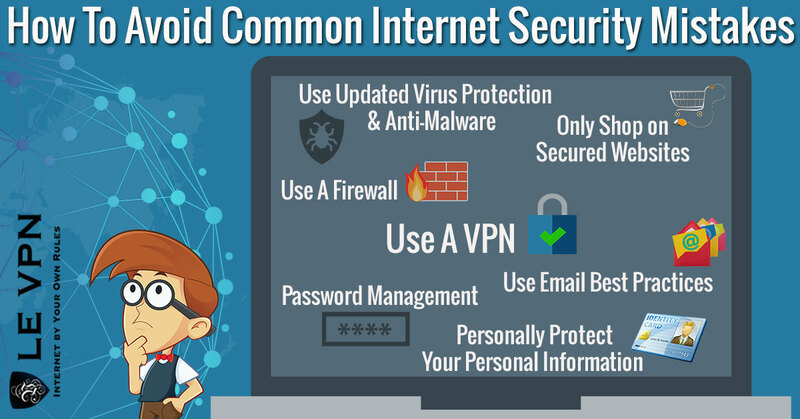 While virus protection, anti-malware, firewalls and VPNs can protect you from outside influences they cannot protect you against yourself. They can’t stop you from accessing bad websites, giving up personal information, downloading suspicious files or accessing your most sensitive financial information over a public network connection, only you can do that. Be sure to use anit-virus, anti-malware, firewalls and VPNs whenever possible. Use public computers or access points as little as possible, do not access sensitive information on a public or “house” computer. It’s understandable that you will need or want to use the Internet, just do it as little as possible, you are on vacation after all. Turn off the Bluetooth. You never know when you may come within range of an enabled device or Wi-Fi connection and be connected automatically. These connections can be used as access points by hackers or be the source of data leakage. Do not access financial information across an untrusted network without using VPN. Do not post vacation pictures or information about you going on vacation to social media. It goes without saying that if you are reading this you are interested in travel and Internet safety. The good news is that two are not mutually exclusive and easily done using Le VPN. The best part is that once you have the VPN you will be able to benefit from its protective influence at home or abroad. 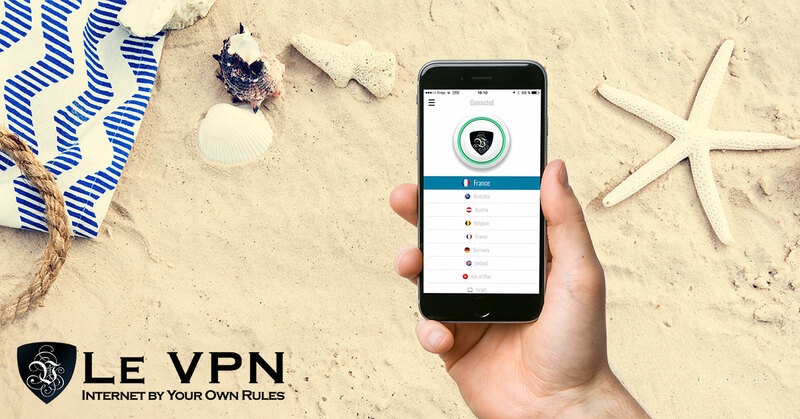 There is no time to waste, get Le VPN – the best VPN for travel before you leave on your next trip!